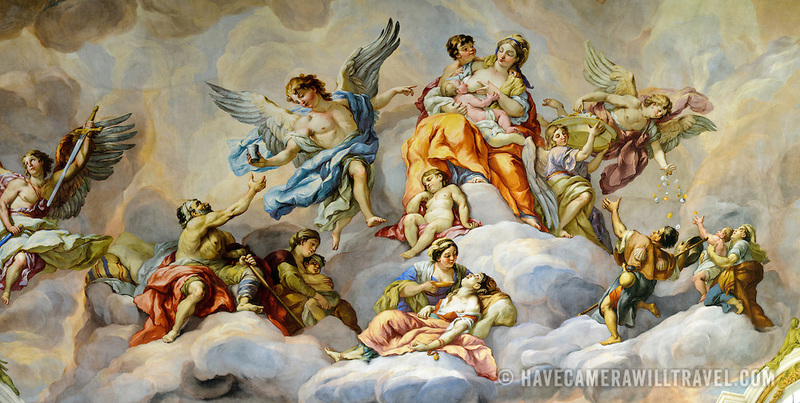 The Baroque fresco on the dome ceiling of Karlskirche (St. Charles Church) in Vienna. Painted by Johann Michael Rottmayr, it depicts the intercession of Charles Borromeo. High resolution image.